With each passing era, movies seem to demean the idea of manhood. If it’s difficult to think of a Gamini Fonseka today, it’s not only because no one can equal his erudition, it’s also because the film industry is fixated on a gender swap, in favour of the female, that hasn’t come about completely still. The commercial movies advertise manliness; the arty movies advertise femininity. Seya, which has the distinction of being the first Sinhala film with an all female cast, cannot be categorised in either, and yet, like the ambitious solitary filmmaker who thinks he or she can make up for his or her lack of talent by seeking refuge in the full house, its director, Kalyana Chandrasekara, moves along drably with increasingly tedious plotlines and side-plots. But the message is clear. Even in the mainstream cinema, the focus on the male has dropped, and the woman, once considered a prop, has now become more than a sidekick. This is true even of the way the male is being represented. Gamini Fonseka didn’t shed a single tear, and when he did, he stopped being Gamini. Hemal Ranasinghe and Uddika Premaratne, on the other hand, don’t once hesitate in lamenting for their lovers. To consider this a recent phenomenon is a fallacy. 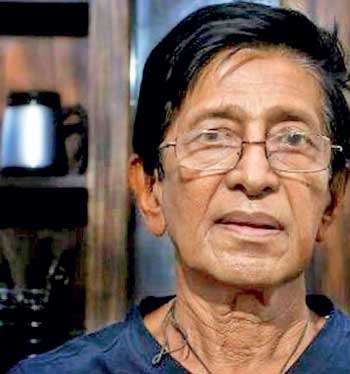 With Gamini, the Sinhala cinema encountered the last real man of the screen. No one after him, not even Ranjan Ramanayake, could match him, and in not being able to match him, the mantle did not leave him until his passing. By that time, Joe, Tony, and Vijaya had been touted as his equal, but the truth of the matter was that they were overpowered by him. When Gamini acted, he flaunted his manhood, and was not afraid of ignoring the girl of his dreams if that’s what it took to bring her back. With Vijaya, the opposite was true: it was the woman (usually Malani, sometimes Geetha) who got him to hanker after her, as with Wasana, where his character has to croon for the titular character to come back to him (“Oba Langa Inna”). And so, if we chart the trajectory of masculinity in our cinema, we find it progressively diminishing, from Tony, who could never be the lover or husband he badly wanted to be, to Vijaya, could never be anyone other than that lover or husband, to Amarasiri Kalansuriya, who found himself consoling both and had to fight through antagonist after antagonist on his way to his beloved. If Gamini resembled Brando and Tony resembled James Dean, Kalansuriya resembled the heroes of the seventies, the Ryan O’Neals and the Robert Redfords, who did not find it easy to win their lovers over without proving themselves, not to them, but to their forbearers. Both O’Neal and Redford played characters that came from rather privileged backgrounds and thus had to put up with the weight of their fathers and mothers in wooing, and marrying, their poorer fiancées. In Kalansuriya the opposite was true: he was the inverted Redford, always trying his luck with those who were above his position in life. Very often, he had to resort to deception, and in Apeksha (where he passes himself off as a much wealthier man to the family of his lover) and Parithyagaya (where he has to steal some money to meet the demand for a dowry from the family of the man who wishes to marry his sister), it was this that characterised him as someone who was not afraid of doing anything to be with the girl he cherished. 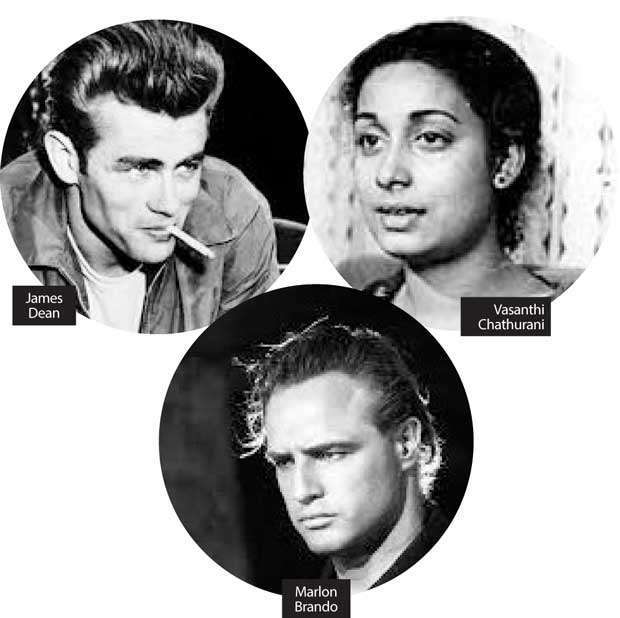 Amarasiri Kalansuriya suggested tragic force, but tragic force was what both Brando and Dean embodied, and Kalansuriya, who resembled neither, was not really beset by the angst of youth the way they were. In Kalansuriya the opposite was true: he was the inverted Redford, always trying his luck with those who were above his position in life. Very often, he had to resort to deception, and in Apeksha (where he passes himself off as a much wealthier man to the family of his lover) and Parithyagaya .., it was this that characterised him as someone who was not afraid of doing anything to be with the girl he cherished. Unlike Brando, who would have shouted and broken every chair in the room when he didn’t have his way, and Dean, who would have cringed and cried and then hollered at the elders who didn’t seem to feel him, Kalansuriya accepted his fate, and though he did not move on with it, he rebelled against it only when circumstances warranted open rebellion. It is only towards the end of Parithyagaya, for instance, that he finds it necessary to commit theft in the name of his sister, and in Yasa Isuru, it is only when the plot compels it that he kills the antagonist. It wasn’t just tragic force that spurred him, it was tragic force laden with irony, for once he achieved what he wanted, he was punished for what he did. Parithyagaya ends with him and his lover, played by Vasanthi Chathurani, imagining themselves marrying one another on the same poruwa that witnessed the marriage of his sister to the iskole mahaththaya; the dream is shattered when a policeman walks in to arrest him. The two look back, and are captured poignantly in a freeze frame. In Apeksha, the tension of the first half doesn’t come from the duplicity of Samson over his relationship with Erika. It comes rather from the duplicity of Nimal, who has to pass himself off as Samson to Niranjala’s father. Kalansuriya’s performance is so genuine and felt that once the farce and charade is over, and the father (played by the underrated but powerful Felix Premawardhana) kicks him out, the camera places him as a child who’s been caught lying, and the father, though he’s not really the villain of the plot, as the cruel, domineering patriarch. The film unfolds almost like a fairy tale, with the virtuous poor and the exploitative rich at the helm of the plot (at times it reads like an indictment on the latter, and its setting, against the backdrop of youth insurrections, is telling), and Kalansuriya becomes less than who he is because of his ability to become smaller than he is. In the history of the Sinhala cinema, I can’t think of one film where the man would have fitted in as a villain, since Kalansuriya was probably our only leading actor who could not be a villain. Once the plot vindicated him, which happened very rarely (since he was almost always caught for his crimes), the film had to end, because after all, was there ever a point in going on with a story once its hero had triumphed? Apeksha, in that sense, was a rarity for the man, since he had it both ways there: the bad guy is defeated and the good guy gets his girl. It has been said somewhere that actors are not the men and women they were before they moved into the movies or onto the stage. Kalansuriya himself would have agreed to this, and in an interview he has said that his story was very different to what one comes across in the films he was in, but I sometimes wonder whether the two were really that different. Kalansuriya’s most characteristic performances have him as the defeated, likeable hero. That was true of his own childhood, particularly when, after acting in Hanthane Kathawa opposite Vijaya and Akkara Paha opposite Douglas Ranasinghe, he had to leave the industry to find a proper job. Both his parents had died when he was young, leaving him with the task of fending for himself and his three brothers. 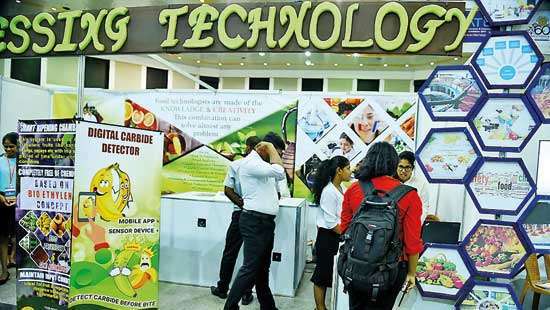 He worked at various places, earning meagre salaries and teaching himself the secrets of the trades he was engaged in. When he was 17, he was a casual labourer earning less than two rupees a day. And then, one day, in an incident that could have come from one of his films, he argued with the mudalali he worked for and left that job, vowing to be his own man. 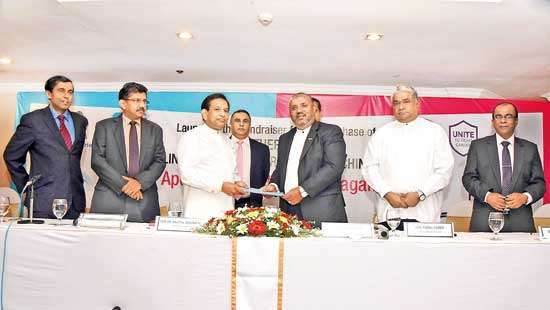 Over three years, after some stints here and there, he managed to save around 300 rupees, after which he started a small business selling cloths in Kegalle and Peradeniya. He eventually owned two tailor shops, supplying uniforms for the Army. Lalith Athulathmudali was a frequent visitor. Fittingly, the movie that brought him back to the industry was Apeksha, and his second outing was in Parithyagaya. Kalang, as he was by now known, had before starred in Ahas Gawwa and Bambaru Avith, but like Hanthane Kathawa and Akkara Paha, he did not really emerge as a leading man in them. Even in Ahas Gawwa, the focus moves from him to Vijaya once the latter befriends him, and right throughout Bambaru Avith, Vijaya is the only person we care about. Perhaps it was owing to this that directors, knowing his true forte, never paired him with the man thereafter. The women who had crooned before Gamini and Vijaya, they ascertained, would never croon and swoon over Kalang, because they didn’t just like him, they felt for him. He was the man who could be counted on to fight a bunch of scumbags, be they poor or rich, and yet shed away the cosmetics associated with such chivalry. 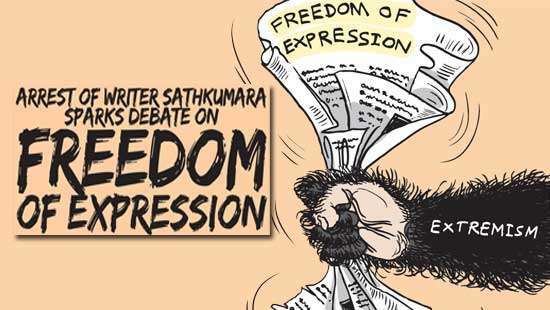 Ranasinghe would have cowered before a fight of any sort, period, while Gamini and Vijaya would have turned it into an opportunity to showcase their mastery and control. Kalang, on the other hand, never bothered to flaunt his ability, since he genuinely cared. He didn’t want affection. He wanted sympathy. In the end, he got both. In one way or another, actors somehow get to shatter the myths they create around themselves. Gamini Fonseka, the hero, became the antihero in Chandiya and, decades later, caricatured himself as the villain in Loku Duwa. Joe Abeywickrema, the man who made us laugh, thrilled us in Welikathara. Tony Ranasinghe, who cried over his lovers or repudiated them, was a gang leader in Saptha Kanya. Vijaya Kumaratunga, who came back for the woman who left him, turned into a scheming womaniser and brutal businessman in Kadapathaka Chaya. Kalansuriya, Kalang to us all, different from all of them in that the image of himself, as the taunted yet forever young idealist, remained with him right throughout, till the end. For others, the seasons passed from spring to winter. Kalansuriya, on the other hand, remains right there in the summer.